Saladin Muhammad Bahaddin: "the Ummah Must Act Together"
›Saladin Muhammad Bahaddin: "The Ummah must act together"
Speaking to our newspaper, the leader of the Kurdistan Islamic Union Party, Saladin Muhammad Bahaddin, "the biggest problem of the Ummah was to not act together," he said. 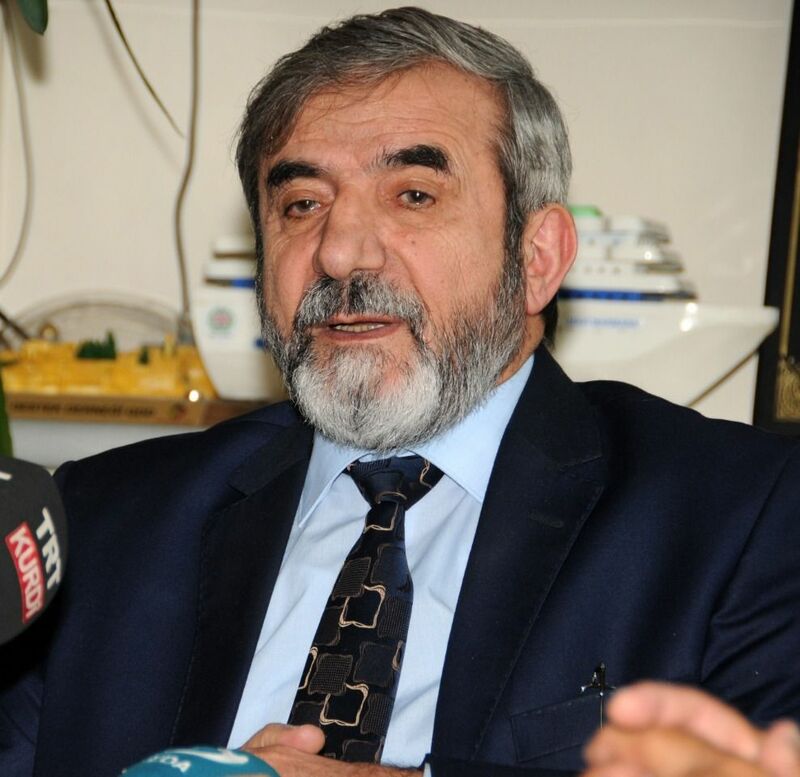 President of Kurdistan Islamic Unity Party Selahaddin Muhammad Bahaddin, who is active in Northern Iraq, spoke to Milli Gazete. President Bahaddin, who touched upon the recent situation in Islamic geography, especially in the developments in northern Iraq, also showed a road map about the steps to be taken in the Middle East. Underlining the need for the establishment of the Ummah unit, Bahaddin explained the moves that will end the regime of exploitation in our region one by one. Underlining that the Ummah has only one piece in the Ottoman period, Bahaddin said, It is the union that we have lost now. The current situation and the situation in the Ottoman Empire are very different. Turkey expects a huge liability. Because of the expected great things from Turkey. Muslim Turkey has the power to bring together forces. We attended the Conference of the World League of Scholars in Istanbul a few days ago. People from all over the world come to Istanbul to live their Ottoman days. "We are a party intertwined with our nation's problems and difficulties as the Islamic Union Party. We never carried a gun. We continued our work in a civilized manner. We have been in the service of our nation since 1994. In the past, our nation has faced problems like Halabja in Iraq. Our region is swarming with problems. Our aim as a party is to serve people's minds, spirits, morals. We have been conducting our political studies since 1994. We do not do nationalism and regionalism in our party. The main thing for us is the ummah." he said. Bahaddin, the region of the troubles experienced by the Ummah should immediately get out, underlining that nationalism is one of the problems in question. Bahaddin emphasized that the views centered on nationalism could not eliminate the problems. Ve We need to return to God's book. There is no height and lowness between the servants. Our problems are not radically resolved. As long as they are not with us, we have avoided saying "You are the traitor. Man does wrong, but we have to give hands to solve these mistakes." Bahaddin stated that they always act together with the Turkmens in Iraq. This problem is the problem of the whole ummah, but it is more visible in Iraq. However, this situation does not subtract from the rightness of the case. If we move in pieces, they use us very comfortably. The Ummah should act in unity by meeting in the common denominator. We hate nationalism that blinds people. Even if it is bad from its own nation but it is better than any other nation, it does not want. For us, the bad person is bad, even from our own nation.